“Solaric, you won our business because you are passionate on what you do and answered every concern we have” that is what our last client said on why he chose us. Every company has its origins and defining moments. Here is our story. We started the concept of SOLARIC as a research project for our other business: a BPO call center back in 2013. Philippines was and still facing runaway electricity rates and in order to remain competitive in the global market, we had to rein in costs to run a 24/7 call center. Electricity cost cutting and energy efficiency is important to run a competitive call center. We first tried to use inverter air cons in 2005, then LED bulbs in 2012. Our call centers simply used 1/2 as much energy as our competitors. It also helps when you used to supply backup power systems for the US space program. 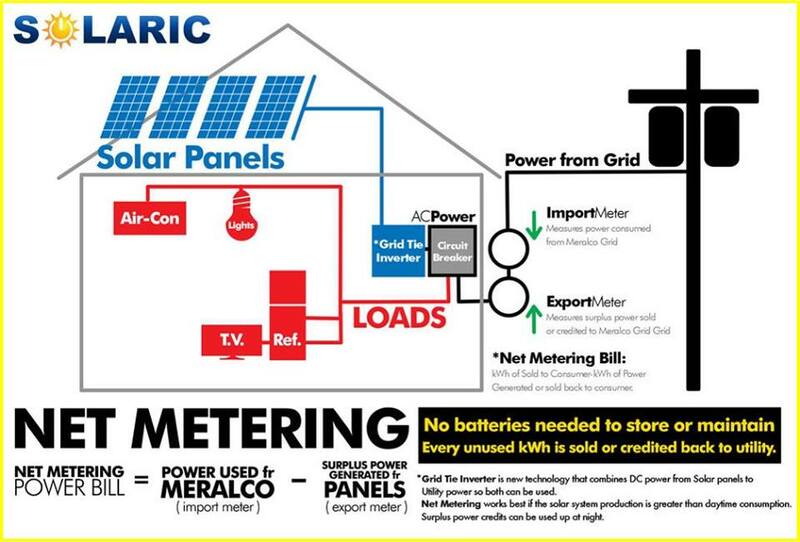 In our quest to make our air conditioners run on solar without batteries in 2013, we made our electric meter stop spinning legally and asked Meralco to implement what was then an unknown energy program protected by RA 9513, a national energy law with Net Metering provision. It is when a homeowner or a business owner will be able to sell back excess solar electricity without batteries or need for separate wiring. So, we pushed hard to have one of the first Solar Integrated Circuits to sell back to the grid—our secret sauce known as SOLARIC and replicated thousands of times all over the Philippines. Using solar panels priced in the Philippines made economic sense then and a slam dunk decision now. But what really makes us tick is that we were really masters in analyzing electrical bills, finding ways to improve operations, and applying the optimum amount of solar so a business can save, thrive, and dream of powering any electrical appliance with renewable energy. Close friends and relatives wanted this SOLARIC contraption as it stops the electric meter on its tracks and we were booked solid to put it on roofs to run air cons. 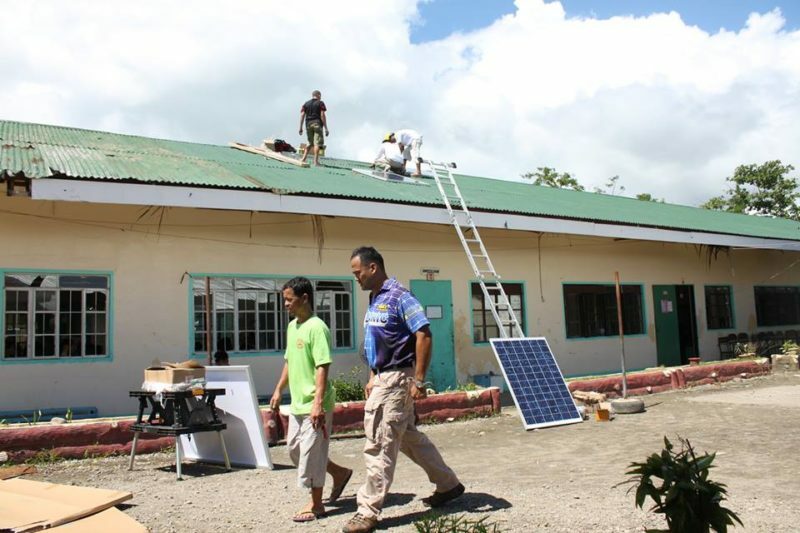 We were about to do our first paying job with our first commercial batch of solar panels when Typhoon Yolanda happened. People in civil defense and relief work asked if we can make a “solar generator” because of horror stories of infants dying on incubators without power and of people who cannot be contacted as there is no energy for a cellphone charge. These scenarios are something we simply could not ignore, and throwing a few bills to Red Cross didn’t cut it; we felt the urge to act. Life before business and country before money are something that we hold dear in what we do. Without reservation we found ourselves driving a truckload of solar panels priced in the Philippines and dozens of donated Motolite batteries into a power dead Tacloban, Leyte. We brought with us a list of all the places where we need to install emergency solar—places such as a relief center, a public school, a clinic, and a pediatrician. We refused to charge a profit and installed solar charging stations well below cost because we refuse to profit from misfortune. For six weeks, we were literally powered by smiles, SPAM, repacked relief goods, and cries of relief when we removed the curse of darkness for the Yolanda survivors. What we saw in those six weeks is something that we wish no one will ever see or smell, but we also saw the beautiful and indomitable spirit of the Filipino to smile, laugh, and survive despite what happens. It changed our psyche and views on climate change. Today, we are still as hard charging as ever; Turn On the Sun is what we do. Simply put, we are known as the solar company that challenged the status quo, counted to deliver power in mission impossible, and now give the Filipinos a choice to use electricity-sourced from a monopoly owned coal plant or from a Juan De La Cruz-owned solar panel on top of his house. If you want to learn more about us, go to this link. You may also email us at info@solaric.com.ph or call us at 0917 860 3141.